I know, I know.. another suspense/thriller novel?! Really? Yes! I can’t help it. I’m addicted still so bear with me over here. 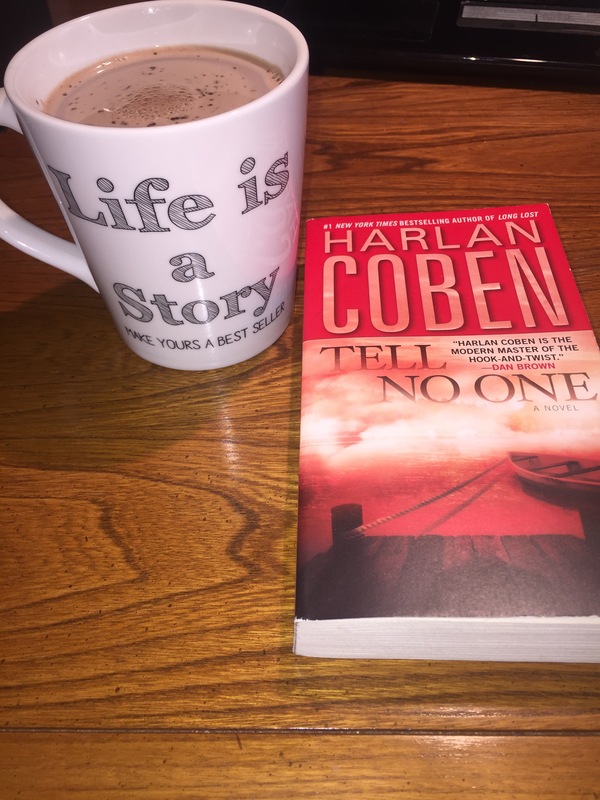 I love Harlan Coben so far. I’ve only read two of his books but I loved both of them! I plan on getting more in the future. This one is called Tell No One and it was really good! It’s main focus is on a Doctor, he was married to his childhood sweetheart but she was murdered eight years ago. He randomly starts getting emails that seem to be from her. This is when things get crazy! I don’t want to ruin anything but there were quite a few twists that I didn’t expect which is always nice. I love not knowing what is going to happen. There were a few parts that I expected but what can you do. This book has a lot going for it, mystery, mirder, attempted murder, thugs, and more ! This is a stand alone novel so no need to worry about not being able to follow the storyline. If you are looking for a series though, Coben does have some mystery ones. I definitely recommend this book if you have read and like his other ones or if you’re just looking for a new suspense! Any more suspense books you have to recommend?